You’ve already called it. 2016 is the year you’re going to finally get yourself into a loaded yet affordable SUV. You’ve been contemplating it for years, but now that your family is growing, you need a vehicle that’s going to be able to grow with it. An SUV is the obvious fit. But which do you choose? In an already overcrowded segment, this market is vying for your attention and you get to be as picky as you want. You can even sit back and order the SUV of your choice via the internet. These days, you really can have it all, including buying a car online. To get you started, there are two of the top choices for SUVs on a family budget. Fully loaded with extras that not only address your children’s needs, like extra cargo room for sports equipment and additional friends, but to yours as well, like leather interior and upscale appointments. Both the Ford Explorer and Jeep Grand Cherokee have been updated for the 2016 year. Both have longevity in this market to prove they know what their buyer wants, so the choice is now yours. Which do you want? The 2016 Jeep Grand Cherokee has everything that American’s celebrate in a Jeep: off-roading capabilities with towing capacity, superior power with premium quality filling a luxurious cabin. Having dropped some weight by incorporating aluminum pieces which helps to improve its fuel economy, it’s also gained extra engine choices and upgraded its exterior. Along with three four-wheel drive systems, the Grand Cherokee offers the Selec-Terrain Management System which chooses the appropriate powertrain setting for the given terrain. With five options to choose from: Sand, Mud, Auto, Snow and Rock, the Selec-Terrain System chooses the best setting and switches automatically so you don’t have to worry about it. 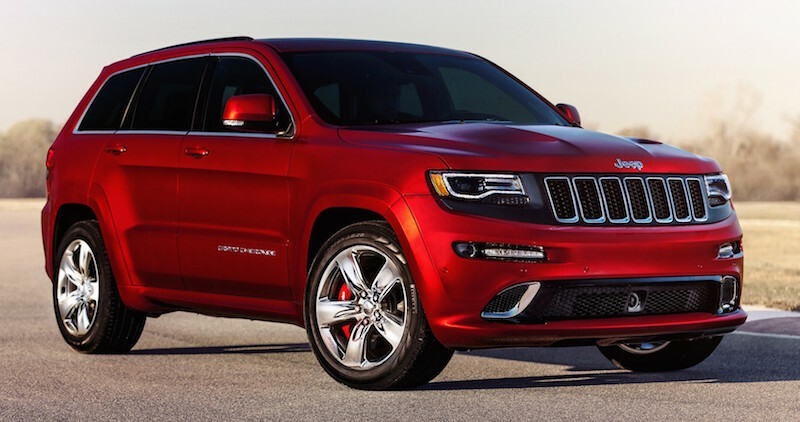 When it comes to the 2016 Grand Cherokee, power options are plentiful. What you will find under the hood of all trims are engines that provide 10% more functionality than in previous model years. It’s fuel efficiency has improved with every engine choice. Altogether, the upgrades and redesigns of the engines have improved every aspects of power, towing capacity and fuel economy. These improvements show Jeeps continued dedication for greatness, and ever impressive competitive edge. Offering both a 3.0 V6 as well as a revised 3.6L Pentastar V6, they both are getting a bump in horsepower to 295, plus the 260 lb/ft of torque, this luxury laden Jeep comes with a towing capacity of 6200 lbs. If that’s not enough power for you, Goldie Locks, there’s still another option that should suit you fine. A 6.4L HEMI V8 that offers 475 horsepower but really shows off its muscles with a towing capacity of 7,400 lbs. Making it to 60 mph in about 4.8 seconds with launch control and a sporty 70% torque split to the rear in Track mode, it’s incredible handling will be one of the best SUV’s you’ve ever driven. Engine Stop-Start technology is a new feature on the Cherokee as well. Updated drive modes now allow more options for getting the power to the ground, including a custom setting which lets drives mix and match attributes. There’s no way around noticing that the Jeep Grand Cherokee has been redesigned for a more aggressive and powerful style and look. Now offering more powerful engines, it’s easy to understand why. Once you step inside, the Grand Cherokee makes its namesake known. Premium leather seats, high quality detailed stitching, subtle accents in lighting all add to the luxe ambiance that is seen but mostly felt. Discrete and intelligently placed, the infotainment system features a 7 inch LCD screen with audio controls, high definition audio system and wireless internet. Improvements abound in the 2016 Jeep Grand Cherokee, there is no denying that a great American tradition never dies. Even amid such strong competition, the Jeep Grand Cherokee stays on top. 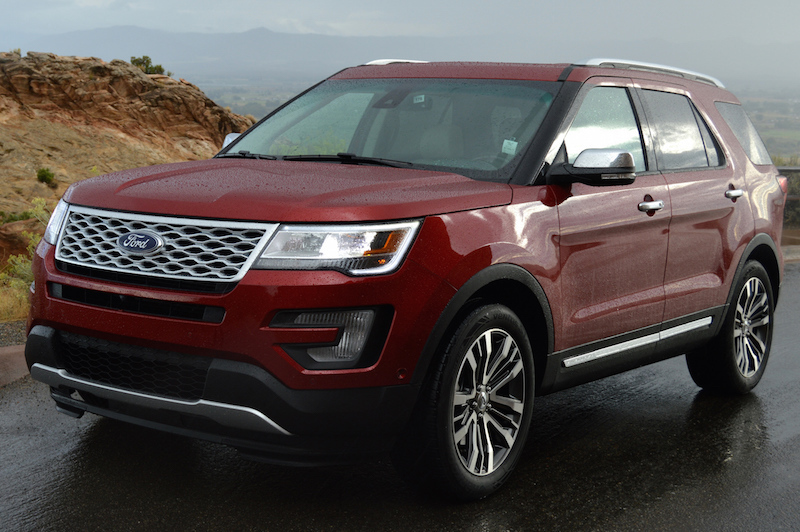 By Ford’s own admission they’ve never made an Explorer this lush before. Ford has drenched this Edition from head to toe in the same premium appointments that are expected in luxury SUVs yet maintains its rugged appeal when towing is in need. A brand new Explorer gets a brand new engine. Benefitting from Ford’s new engine lineup, not just any engine will suffice for the Platinum Edition. As a crossover this now smaller Explorer gets started with a very powerful 3.5L twin-turbo EcoBoost V6. It can deliver 365 horsepower and boasts 350 lb/ft of torque at 3500 rpms. This engine is powerful enough that it can easily tow 5,000 lbs. Coming standard on the Platinum Edition is an intelligent four-wheel-drive with Terrain Management System, which responds to conditions instantaneously, and responding without the driver having to react for it. This management system decides the optimum amount of front and rear torque for existing conditions to prevent slip from occurring, ensuring stability regardless of terrain. A new drive mode gauge in the display shows when power is being distributed to front and rear wheels under any circumstances from all-wheel-drive to none at all. Offering four Terrain Management modes; normal, snow, sand or mud, the driver can shift quickly by using the dial located on the center console. This sets how the engine, transmission, brakes and four-wheel-drive system will operate. Yes, these are the words that every SUV manufacturer has as a repeating mantra. Third row seating with extra cargo space is a necessity in this market these days and the the Ford Explorer Platinum provides no exception. Extra cargo space is revealed when the third row folds flat, offering 21.3 cubic feet, 43.9 cu ft behind the second and 81.7 cu ft when both rows are down. 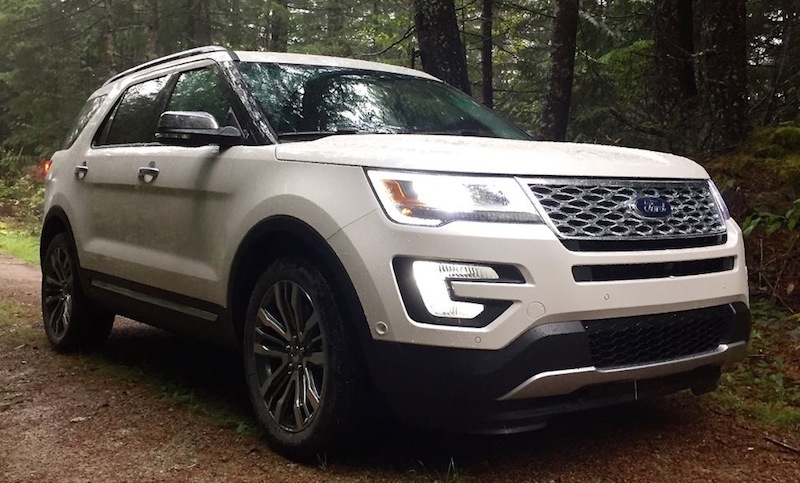 Starting at $52,600 the Ford Explorer has well earned its spot as best-selling midsize CUV and the Platinum Edition further solidifies its position.